Sheer Descent Rain Waterfalls provide streams of water and project them down at a 45-degree angle that creates a unique waterfall sight and sound. Sheer Rain Waterfalls provide streams of water and project them down at a 45-degree angle that creates a unique waterfall sight and sound. The Sheer Descent Rain Waterfall provides a "rain" effect that mimics actual rainfall. The more water provided to the waterfall, the farther out from the wall the "rain" projects. Water requirement for this product is eight (8) U.S. gallons per minute per foot (gpm/ft). The more water provided to the waterfall, the farther out from the wall the "rain" projects. 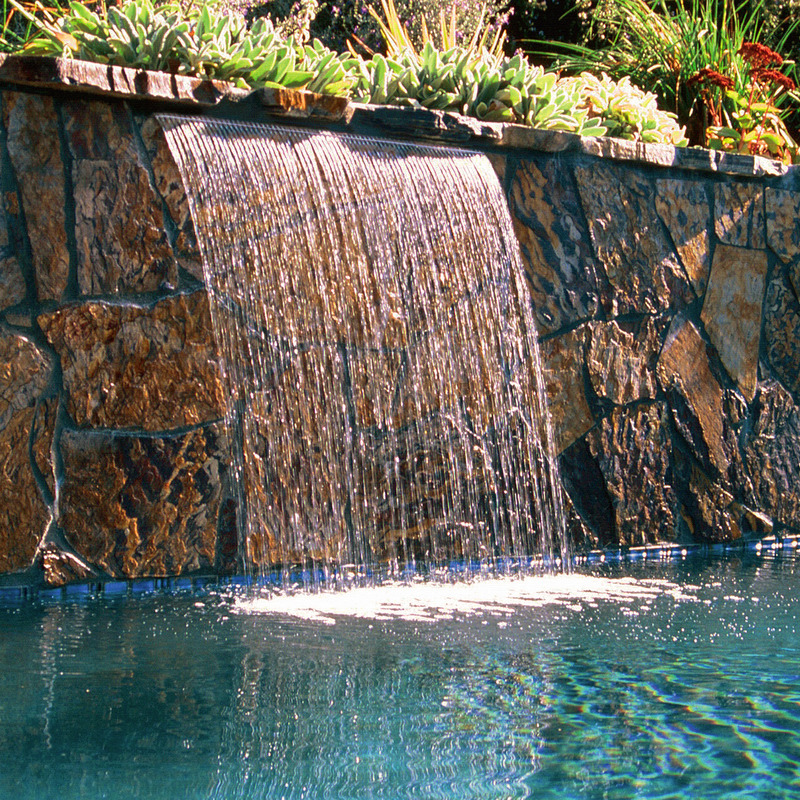 All waterfall styles, except Sheer Arc and Sheer Rain Arc, can be lighted using fiber optic lighting.